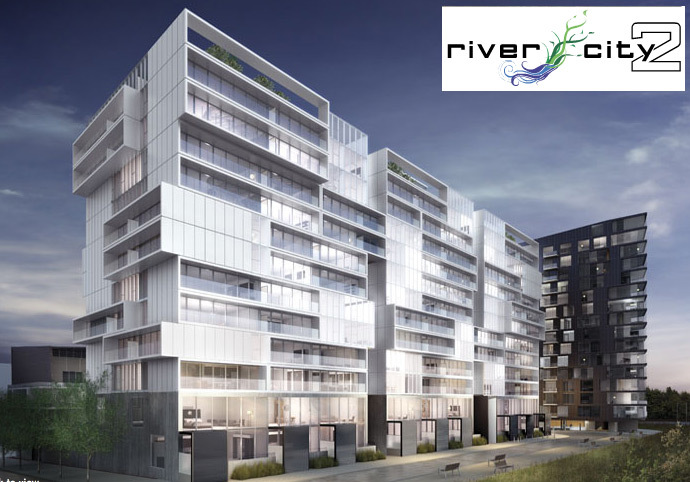 Urban Capital Property Group is offering VIP Broker discount prices for a limited time, for several units in Phase 2 of the River City project. There are also units still available in Phase 1 as well. 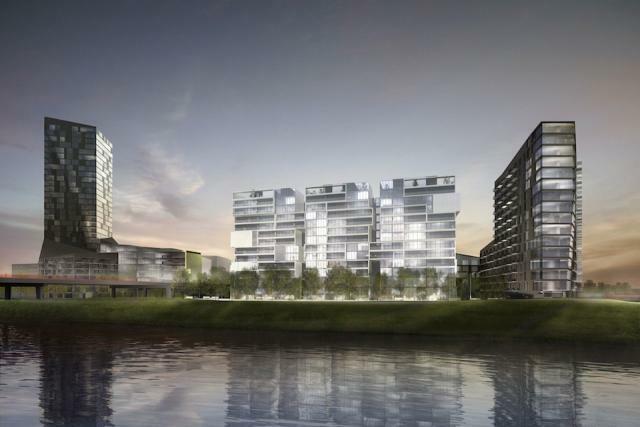 River City Lofts is the first private sector development project in the West Don Lands. Designed by Saucier + Perrotte and ZAS Architects, River City’s elegant, roomy suites give you all the space you need to live, work, play, cook, entertain – and feel perfectly, comfortably at home every day. River City has unusally large layouts, gracious terraces, rolling doors, floor-to-ceiling windows, custom kitchens and staircases. River City also includes two storey townhomes. Available suites in Phase 2 range in size from 400 sq ft to 1579 sq ft.
Prices start at $242,900 and go up to $989,900. Maintenance fees will be approximately $0.44/sq ft per month. All utilities will be metered and paid separately. Parking spaces are $35,000 (available for suites over $359,900). The tentative occupancy date for Phase 2 is May 2014.